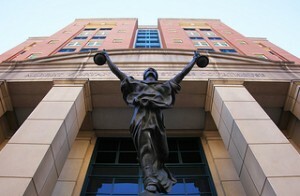 De Boise v. St. Louis County, No. 13-2742 (July 28, 2014): In suit where De Boise died after officers used taser on him multiple times, affirming grant of summary judgment for officers on qualified-immunity grounds and for County on ADA grounds. Image courtesy of Flickr by Tim Evanson (creative-commons license, no changes made).